Add a splash of fun to cooking with this cute child's apron by Ulster Weavers. This would make the perfect gift for children who have a tendency to make a mess in the kitchen. 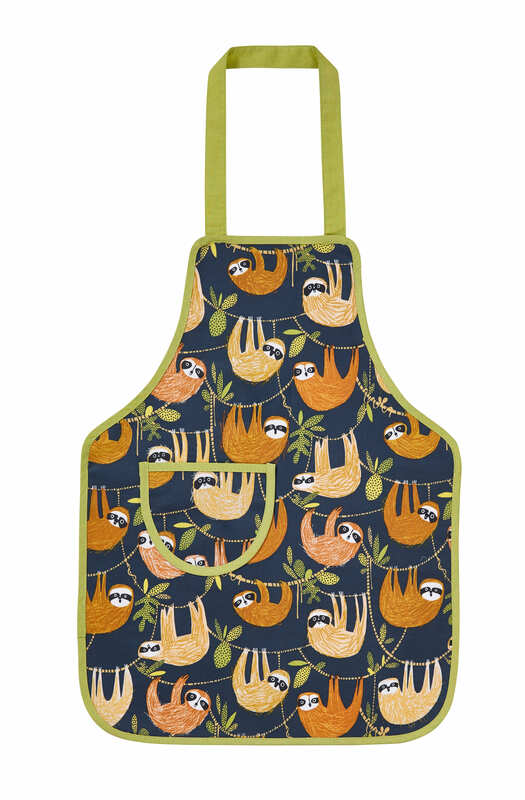 Friendly Sloths, doing what Sloths do...Hanging Around on this wipe clean, PVC Children's Apron.